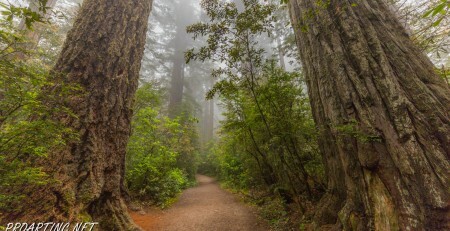 While exploring an outstanding JSRSP don’t miss a chance to spend a night under the canopy of the incredible gigantic redwood trees for the abundance of which this park is famous. 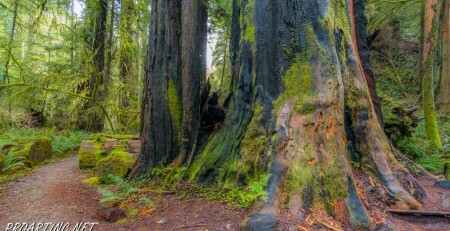 Jedediah Smith Redwoods State Park Campground is smothered in greenery. Wherever you go, you will be surrounded by an amazingly beautiful and living forest. 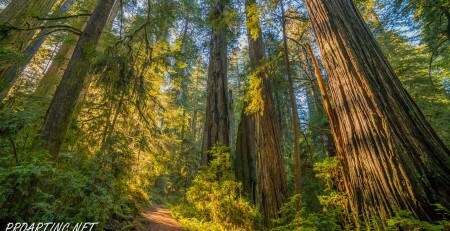 The sites of the campground are located in the shade of redwood-giants, which give lots of privacy to the sites and make the stay there comfortable both during the day and night. This well-developed and maintained campground offers 84 sites, among which are 62 standard sites for RVs, 18 – tent only sites and 4 cabins. The campground also has 5 hike-in/bike-in campsites and a Group Campsite, which can host up to 15 vehicles and 50 people. Also, if you walk about one mile down the street you will find general store where you can buy gas and some basic groceries. 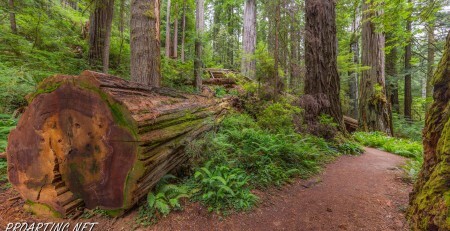 And on shady forest trails opening for the hikers the beautiful realm of redwoods it is pleasant to walk even in the heat, as the sunbeams can hardly reach the ground through the huge trees. 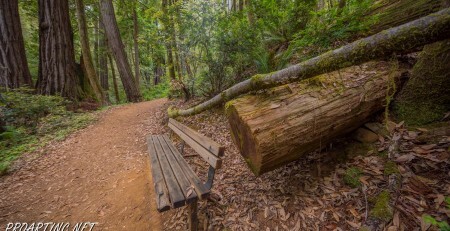 It may also be interesting to explore the Boy Scout Tree Trail together with Stout Grove, Simpson-Reed Interpretive Trail or to visit the nature store and Visitor’s Center. The reservations can be made online at least 2 days before your arrival and maximum 7 months beforehand. Online you have also a chance to choose the site (the best ones are considered those located closer to the river bank, and having stunning views). 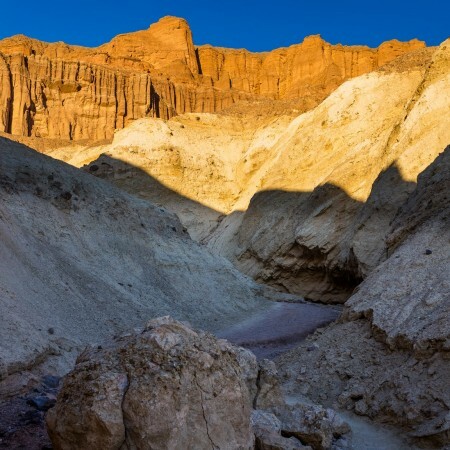 If you plan your trip for summer months make sure you are booking a campsite long in advance as this place is incredibly popular among the tourists and in summer is overfilled. The campground entrance from US Highway 199 can be found about 9 miles from Crescent City. The entrance will be located on the right-side of the road. If you are traveling from north on US Highway 199, drive about 1 mile after passing a small town of Hiouchi. The entrance will be on the left side.